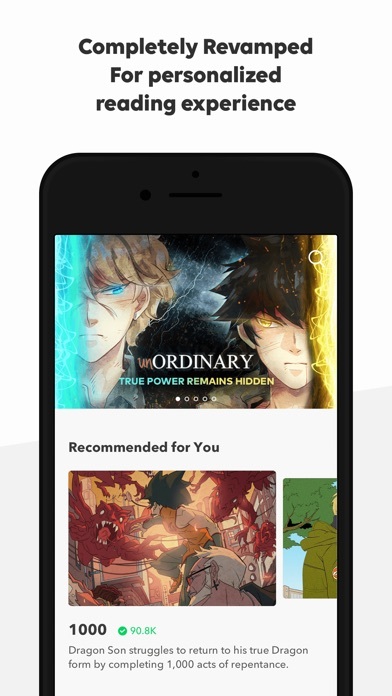 LINE WEBTOON - The Best Way to Read Comics, Manga & Manhwa on Mobile for free Join the largest community of comic fans with millions of readers worldwide. 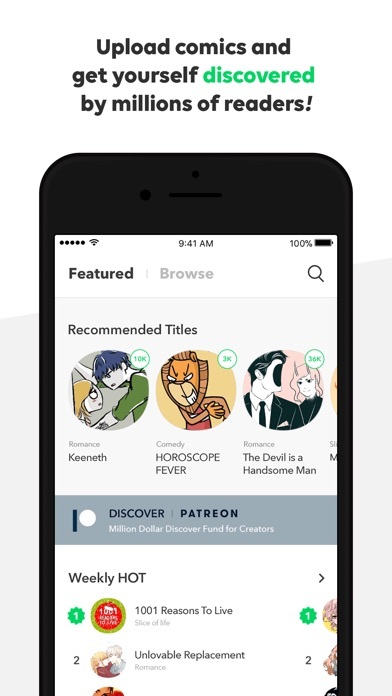 - Read over 170+ Featured Comics such as Tower of God, Heroine Chic, Bluechair, and Siren's Lament every week for FREE! - Discover over 7000+ comics in Action, Romance, Comedy, Horror, Superheroes, and more - Mobile optimized scrolling for an uninterrupted reading experience - Subscribe to your favorite series and never miss an update - Download your favorite series and read offline - Enjoy FX comics that feature sound and animation For Customer Service: http://hyperurl.co/CustomerService Website: www.webtoons.com Facebook: https://www.facebook.com/linewebtoon Youtube : https://www.youtube.com/user/linewebtoon Twitter: https://twitter.com/linewebtoon Instagram: https://www.instagram.com/linewebtoon/ We are LINE Webtoon and we believe that comics are for everyone - for the tall and the short, the young and the old, the ninjas and the robots. We’re the home to thousands of creator-owned comics and continue to launch the careers of the next generation of great comic creators. We’re available anywhere, anytime, and always for free - because comics should have no boundaries. Pop up ads flood the entire app and I have to reload the whole app to get them to go away. I’m done with this. I like it and the comics are great but it won’t let me sign up or if I made a profile it won’t let me sign in. And it’s annoying. 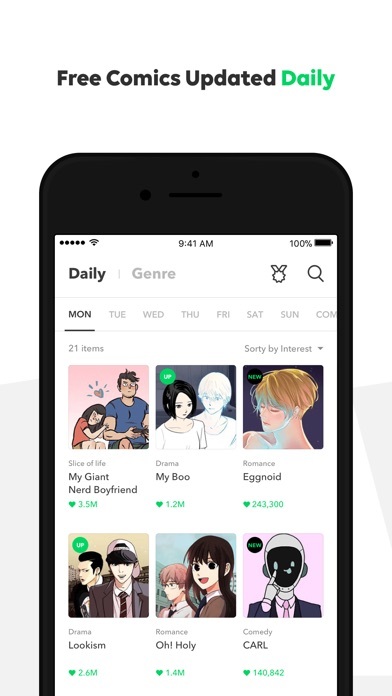 I open webtoon at the least, once a day. Everything is free to read, ads arent in an obtrusive place, vertical scrolling is -mwah- beautiful. Not to mention the comics on here are all super great. I read through a lot of different genres and whoever decides what webtoons to feature does a great job picking because most of the ones I start, I dont stop. 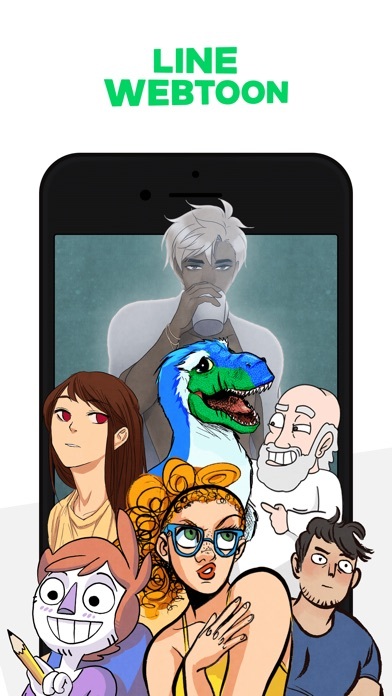 After being on webtoon for ages, I finally decided to write a review just because I wanted to comment on the coin system. Reading ahead of what’s published is available on some of the comics for 5 coins (50cents) which is not bad at all- but I think this system sets you up to fail because you’ll either have to go the next week without a chapter or continuously pay money to keep reading every week. My advice-just don’t read ahead. 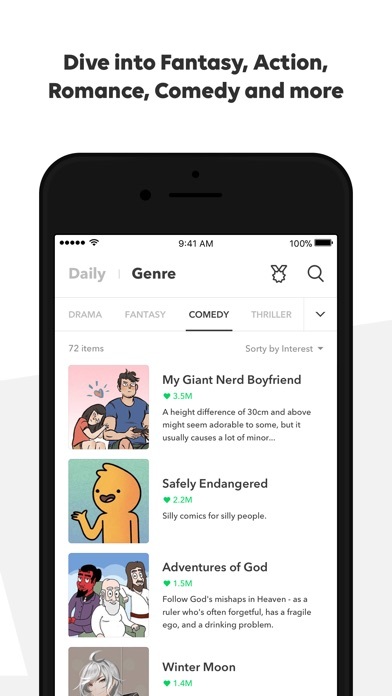 Okay so Webtoon is one of my favorite apps to read on but recently (a few months ago) they started this new thing called flash pass. People keep spoiling the next episode for people. The ones that are using flash pass see that episode that hasn’t been released yet like a month before it’s released. I understand that some artist need the money but that’s what patron is for. At least if you’re gonna use that make a different app for it. Great job but maybe an update? This app is very nice and easy to navigate, but I have been having trouble using the download feature. I will find myself restarting the app many times and Im still not able to download anything. Please fix! At the end of a comic I got an ad that was supposed to be a video, but it never played and instead I got a pop up ad that opened up my safari app and took me to a bunch a weird websites. This has never happened before now. I hope you can fix the bug. More by NAVER WEBTOON CORP.